Description/Historical Information: 2/6th Sherwood Foresters (Nottinghamshire & Derbyshire Regiment). 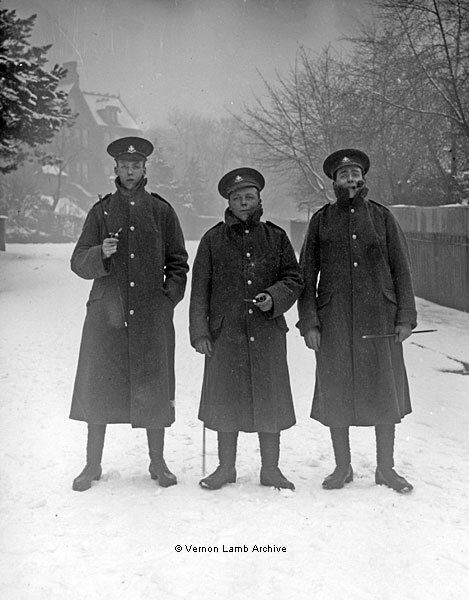 Three soldiers, wearing greatcoats, standing on a snowy street. The identity of two of these soldiers is not yet known although the middle man, Pte. Brocklehurst, appears in other photographs.